I hope so. It looks like more fun than monkeys getting drunk on overripe fruit. 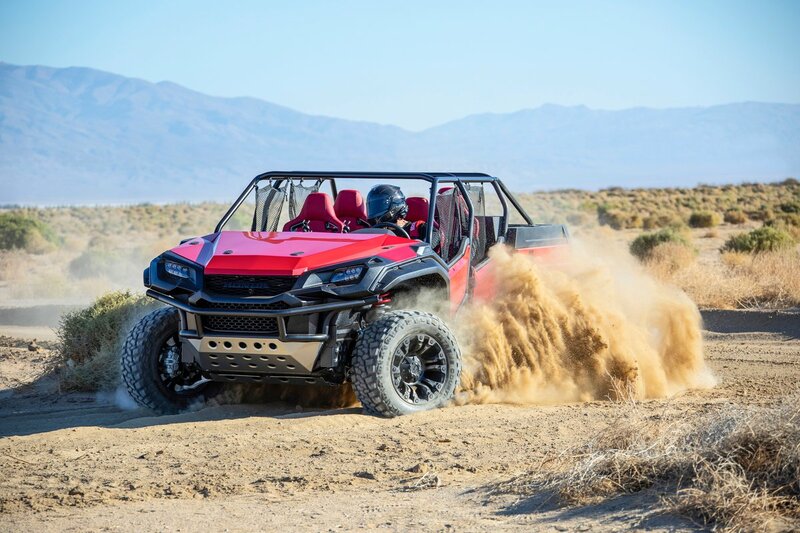 Call me crazy, but the front of this thing looks like one of those side-by-sides/UTVs. I liked the first Ridgeline, love today's Ridgeline. This is a quite interesting beast Honda came up with. That's what the second paragraph said it is. "In a sea of brodozers and the sort of delicate-looking off-roaders that ironically don’t seem like a safe bet off the show floor..."
Strange that almost every article begins with a Horizon 4 or GTS post.